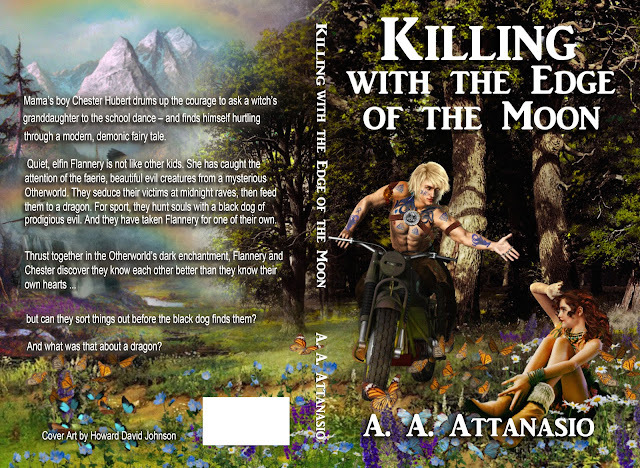 Masterful realist Howard David Johnson, adept at transforming being into seeing, has created cover art for "Killing with the Edge of the Moon!" A copy of this ebook (or any of my digital backlist) is available free for anyone willing to write an honest review on Amazon. Even if it’s just a sentence or two, your words answer mine. Pleased or critical, your impression at Amazon would be very much appreciated: Write me at aaa@lava.net and I'll reply with an e-book copy! Thankyou for your most amazing imagination and clarity of vision . I love your writing, They enrich me . I'm glad for the encouragement, Peter! I've often noted that writers work in isolation to defeat isolation - but only when we hear from our readers does that defeat become a triumph. Thank you!